Next PostHappy Monday!! It’s that time of year – plant shopping!! Happy 9th WOYWW anniversary Belinda! I hope you enjoy visiting all the different desk, there’s so much to see. 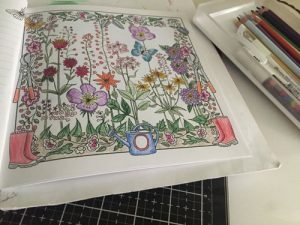 Your colouring is beautiful and the perfect thing to do whilst watching the wedding. 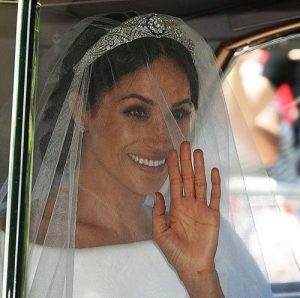 It made a big impact here too, Meghan was so elegant and serene, she’s going to be a huge asset to the Royal family. And I think The Princess and the Frog is a very under-rated Disney movie, I love it! I did some colouring too. On the balcony. me smile all day long. I also watched the Royal wedding. How nice that you can truly identify with Meghan. You have a very neat and tidy desk, and I appreciate that. 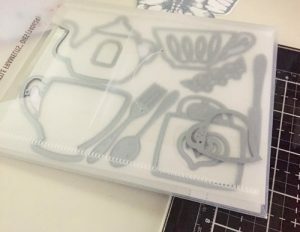 I am in LOVE with that tea set dies. I hope if you use it, you will share the results. Sorry to read you are not well. Hope you are enjoying the party. Happy 9th anniversary from #13. Hi Belinda – a happy 9th anniversary – only a day late. Sorry! So glad you enjoyed the wedding last Saturday – I missed it so had to watch it on catch-up. It was a very special, intimate time for Harry and Meghan – and I thought that lovely preacher gave a fantastic message. You have done a great job with your colouring – well done. Oh no, you weren’t babbling. 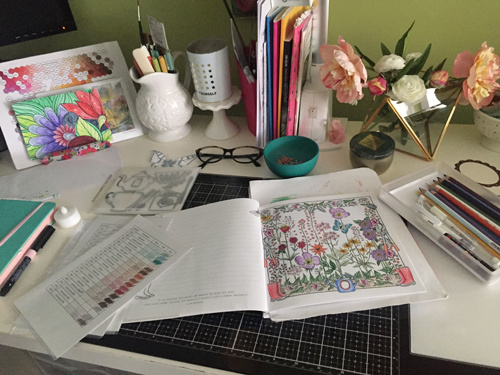 I like the idea and can actually better get my head round a bullet journal with a bit of journaling as well, but I still think I’d feel a pressure to ‘do’ stuff in it and I’m a great starter but have many unfinisheds, so I’m learning not to start now! The wedding was lovely wasnt it, and I have to say that I had overlooked the importance of her heritage until I saw some of the broadcasts. I’m delighted by their union, it can only be a good thing for their generation, can’t it. YOur colouring is lovely, am very sold on how therapeutic it is! Happy Anniversary! I’m trying really hard to get to everyone, but work time just isn’t cooperating! Allergies have taken a lot of my co-workers out…I hope you get through them soon. I love your colored page; I have a few books, but just haven’t had the patience to dig in. Have a wonderful week. Happy 9th Anniversary Belina, how lovely to have watched the Wedding and treated yourself to some relaxing colouring at the same time. I bet you felt so refreshed after it all. Thank you for sharing WOYWW, it always looks so clean and tidy.